Arrested for DUI in Stanton? 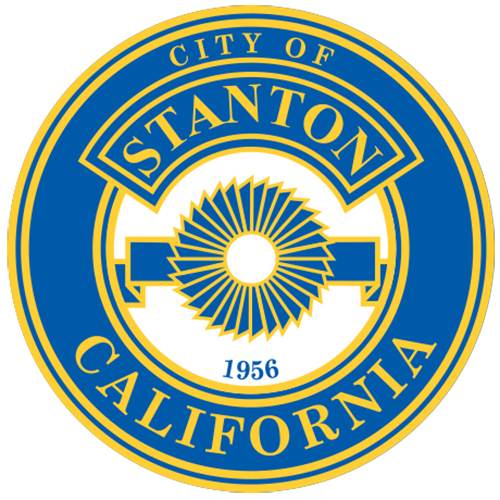 If you have been arrested for driving under the influence in Stanton, contact the Law Office of Barry T. Simons. You have only 10 days to find a Stanton DUI lawyer who will schedule your hearing for you and get to work on your defense. If you do not, you will have an automatic suspension of your license and may face stiffer penalties you’re your Stanton DUI case are sent to court. The arrest in Stanton for DUI means your case will likely be designated to the West Justice Center Courthouse in Westminster. The attorneys at the Law Office of Barry T. Simons have significant experience in this courthouse with the prosecutors and judges that will oversee your case. Our staff and attorneys will explore every available defense to try and win your case. Many people are terrified when they are arrested for driving under the influence in Stanton. However, there are different factors about your arrest that can be brought into question as the process develops. The Law Office of Barry T. Simons has qualified and experienced Stanton DUI attorneys that will look at the circumstances surrounding your arrest and determine if your rights were violated or whether any defenses exist. Furthermore, the Law Office of Barry T. Simons, will review any Patrol videos or Mobile Video System recordings that may be available after your arrest to provide you with every available defense to try and win your case. It is hard to know what to do when you are arrested for DUI for the first time. Even if you know that you are not intoxicated, do not argue with the police officer or make any statements about the incident. If the police officer confronts you with a preliminary alcohol screening test, ask if you have permission to decline it. If he or she replies “yes”, then you may politely decline the test; however, do not refuse the implied consent breath or blood test given at the police station or jail as this may result in a potential one, two or three year license suspension. As soon as you are released, you need to find representation. You should not attempt to try to represent yourself against DUI charges. Instead, look for the best Stanton driving under the influence lawyer you can find to provide you with the best defense and address any of your concerns about violations of your rights as your case goes forward. At the hearing, your Stanton DUI attorney will present evidence and witnesses on your behalf. An administrative panel will listen to evidence from both sides and determine if your license is going to be suspended. Even if your license gets suspended, the hearing can be invaluable for trying to find defenses that may exist in the event your Stanton DUI case goes to trial. If your Stanton DUI case goes to trial your Stanton DUI lawyer will have more time to work on your defense and build a stronger case for you. If your BAC reading from your blood test was higher than the legal limit, we have trained and experienced attorneys that will look for reasons that an inaccurate reading may have occurred. Your Stanton DUI Attorney’s knowledge of the DUI laws of Stanton and Orange County will provide you with the resources to successfully defend against the DUI charges. Although you should never refuse to submit to the breath test, there are many different reasons that it can give an inaccurate reading. Your Stanton DUI attorney should have in-depth knowledge of these various circumstances that will cause an inaccurate breath test reading and will use that knowledge to successfully defend you against your Stanton DUI charges. Just as there are various variables that can affect a breath test reading, there are a number of defenses that can result in prevailing in court. Retaining a Stanton driving under the influence attorney with a real handle of the DUI laws in Stanton and Orange County is essential because of the specialized area of science and law that those charged with DUI face. Defending a DUI case requires specialized knowledge in a wide range of scientific disciplines connected to breath and blood testing. This relationship connects many medical conditions with the inaccuracy of the chemical testing equipment and of the field sobriety exercises administered during a DUI investigation. Some examples of these conditions are periodontal disease, faulty bridgework, having the flu or a fever, diseases of the lungs, heart disease, diabetes, inner ear conditions and many more. It is important to discuss any type of medical condition you may have and any medications that you are taking with your Stanton DUI lawyer so that he/she has the information needed to provide you with the best DUI defense. If you are concerned about a positive breath test and think you have no hope of defending your Stanton DUI charges, your best bet is to have an expert DUI defense attorney who will prepare a successful defense for your Stanton DUI case.